After the miserable week I’ve had, we needed to find something fun to do as a family this past weekend. 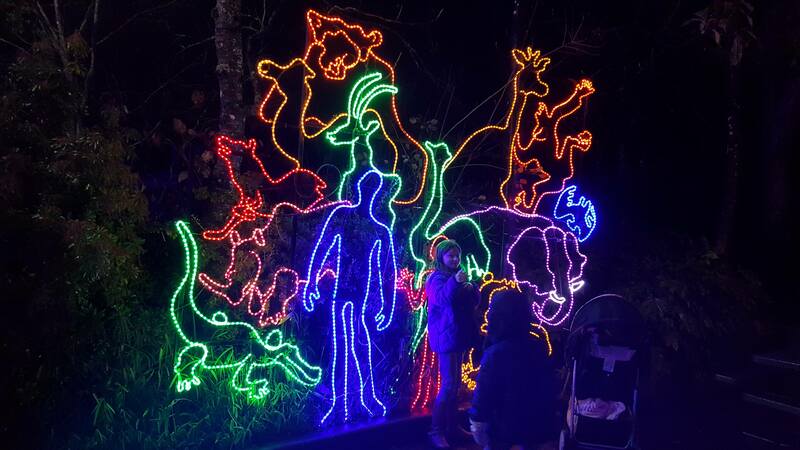 So we planned an outing to the Portland, Oregon Zoo for the Zoo Lights that they put on every year during the holidays. It was neat, but the rain and cold made for unhappy kids. And, if you’re from the PNW area, then you know exactly what I am talking about. This is why we had to get hot cocoa to warm our bellies while there! 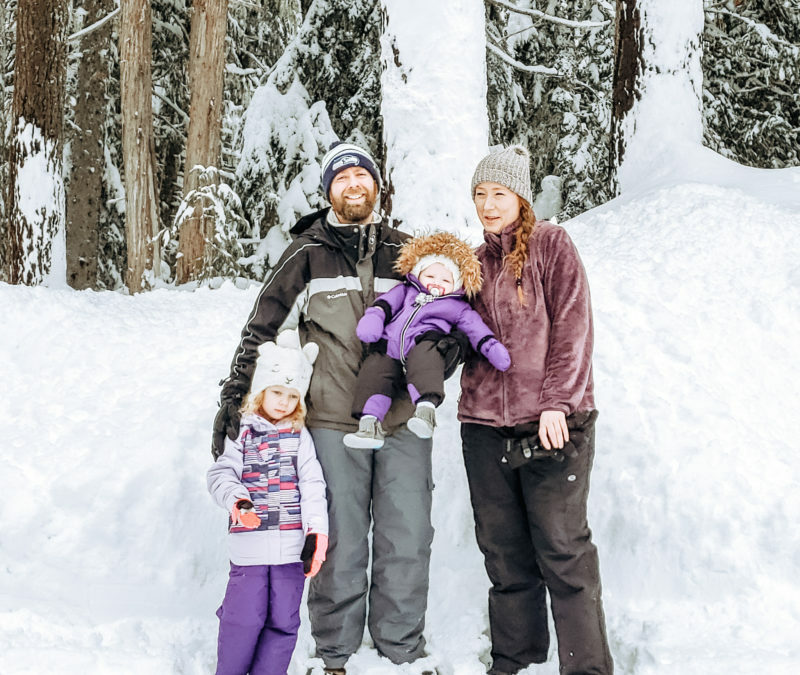 Making memories with my daughter and capturing them on film to enjoy years down the road is a must, not just for me, but I imagine for any parent(s). I try not to focus on the cost of things since memories are more important than money. But, saving money is an essential goal of having a financial future of any kind, which is why Vanguard is a recommendation of mine. 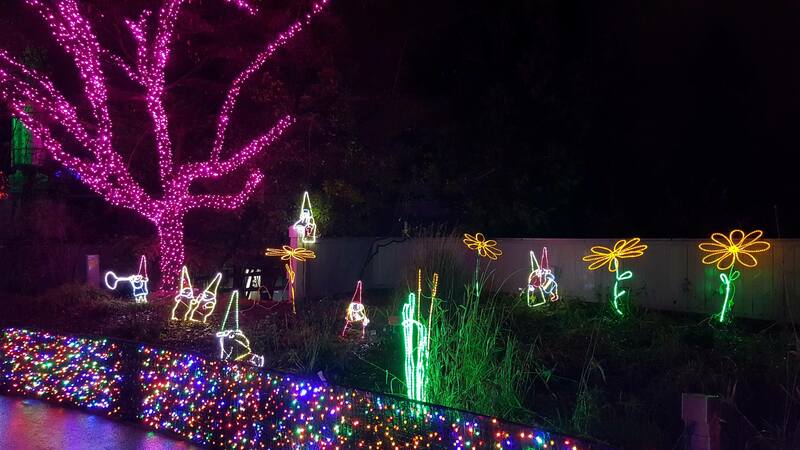 We all enjoyed the lights at the zoo but didn’t get to spend as much time there as we had liked since everyone was getting cold after about an hour and a half. We did get to see a couple animals that were out at night like the seals and bats. My daughter didn’t want to leave when we did since she was excited to see more animals. 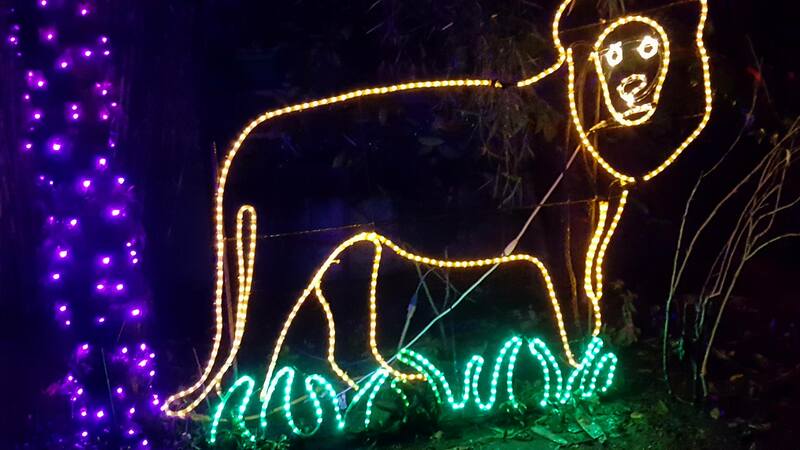 But, unfortunately, it wasn’t about the animals this time and more so about the lights as none of the zoo animals were really out. 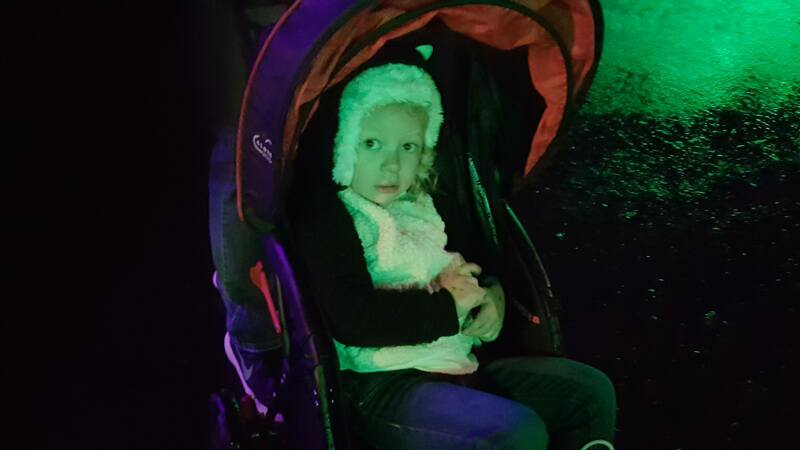 She did like seeing all of the animal lights though and we said what each one was as we walked by them. She amazes me every day with how smart she’s become. She remembers and recognizes just about everything! 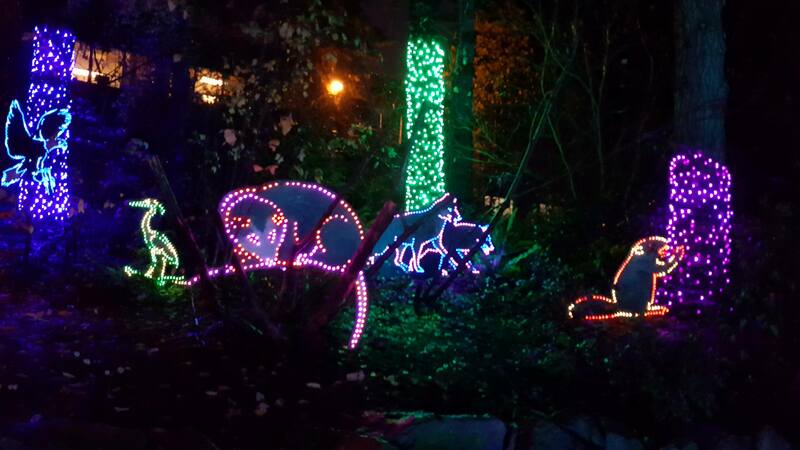 If you’re in the Portland OR area, I recommend checking out the Portland Oregon Zoo for Zoo Lights. You and the kids will enjoy it! Just bring your gloves, hats, warm coats, boots and an umbrella because you will get cold and wet without. What an awesome Christmas experience!! 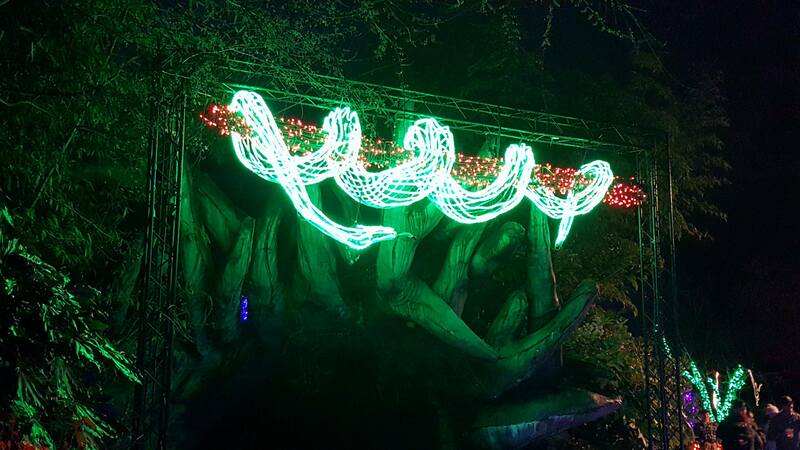 These lights are beautiful! Can’t wait to take my littles out this year!! Making memories with my family is so important to me. I would much rather we spend money on experiences and memories than on things. 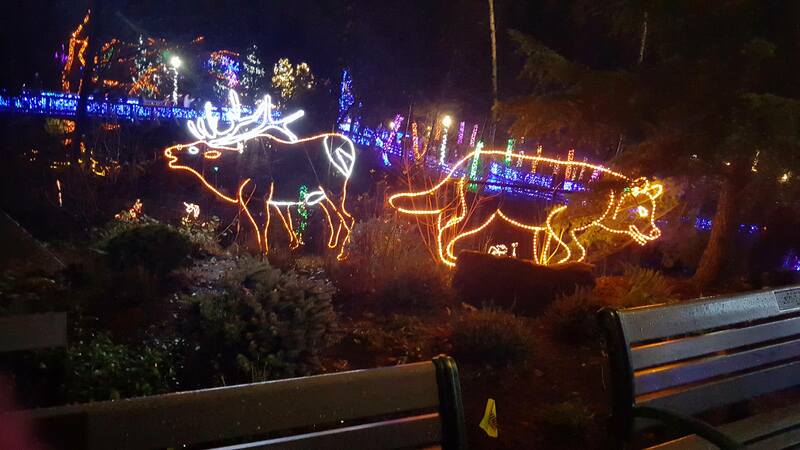 The light display at the Oregon Zoo is gorgeous, it’s too bad it was cold and rainy! Definitely! I love going to places with my kids, it doesn’t just strengthen our relationship as a family but we make wonderful memories as well. This is so beautiful to see. Sometimes it is hard to find time or extra funds to be able to do activities like this with the whole family. I am glad that there are services that can help manage the funds better to be able to find the time and extra dollars for such awesome entertainment. 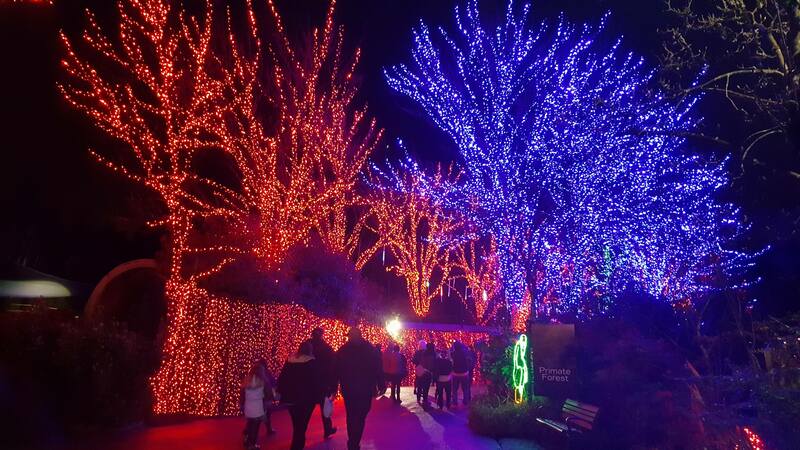 Those Zoo Lights are stunning. 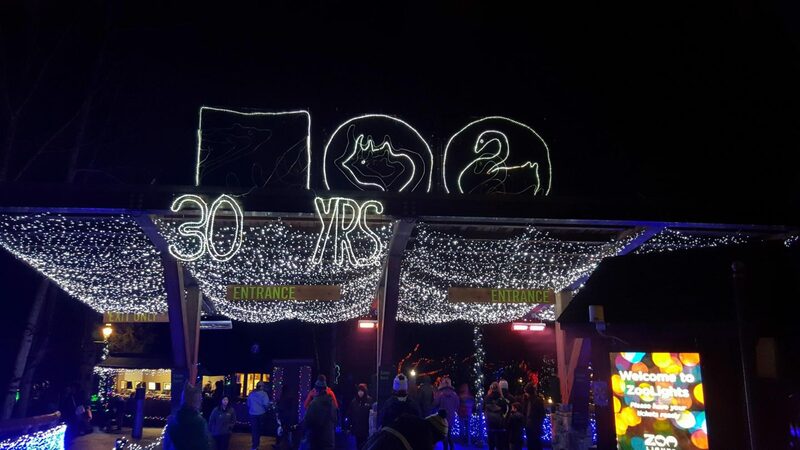 There are two massive zoos in Chicagoland, Lincoln Park Zoo in the city and Brookfield Zoo in the suburbs. 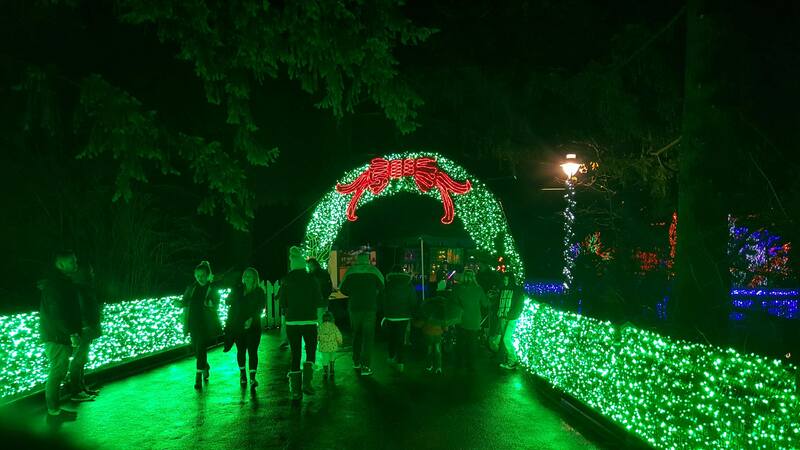 We have plans to see zoo lights for the first time as a family next weekend and we are SO Excited! This looks like such a fun experience! 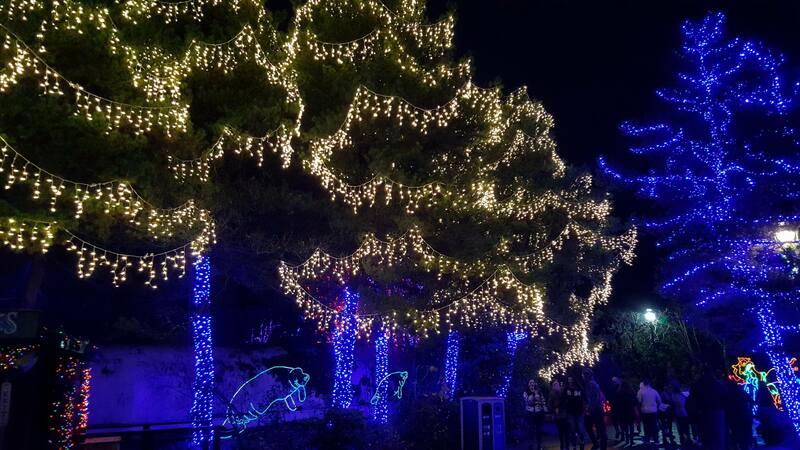 All the decorative lights are so lovely and festive! 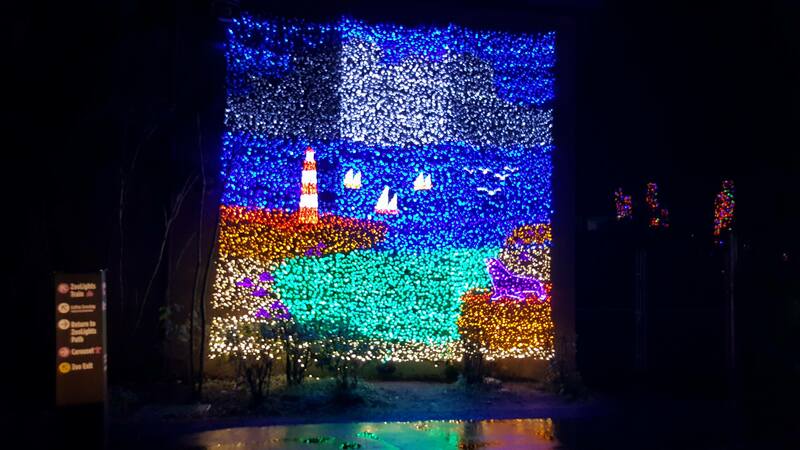 These are stunning light displays! I don’t think our local zoo has something like this. I wish they did because it is just so pretty to see! Thanks for sharing your experience. I love this! I am always looking for things to do with my kids, experiences, crafts, projects, service, etc so that we can be together and make memories. I live for the moment and then cherish the memories. Life can be so fleeting, which is why we truly need to ALWAYS be present and realize that life is way to short to sweat the small stuff. Just enjoy the time you have and the people you are with, all the time!